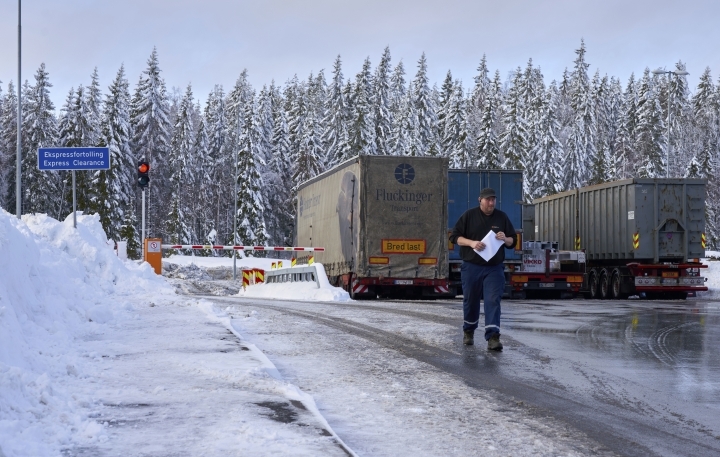 ORJE, Norway — With fresh snow crunching under their boots and a handful of papers to be checked and stamped, truck drivers from Latvia, Sweden and Poland make their way across Norway's Orje customs station to a small office where their goods will be cleared out of the European Union and into Norway. 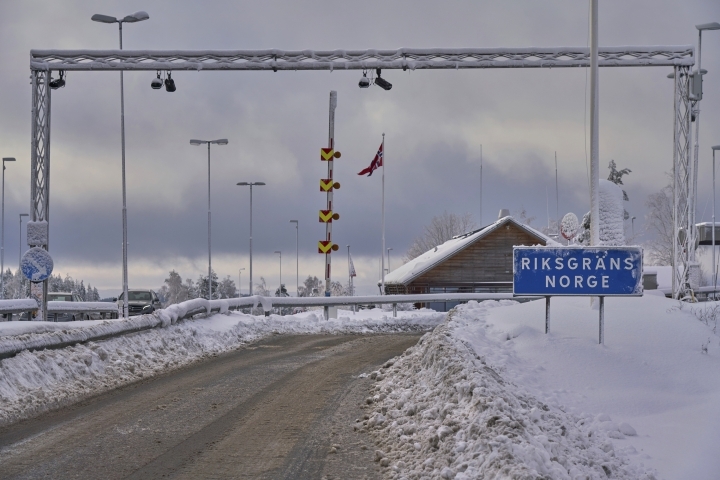 While many border posts in Europe have vanished,, Norway's hard border with the European Union is clearly visible, with cameras, license-plate recognition systems and barriers directing traffic to customs officers. Norway's membership in the European Economic Area (EEA) grants it access to the EU's vast common market and most goods are exempt from paying duties. Still, everything entering the country must be declared and cleared through customs. A divorce deal between Britain and the EU has stumbled over how to guarantee an open border between the United Kingdom's Northern Ireland and EU member state Ireland after Britain leaves the bloc on March 29. The Irish border area was a flashpoint during decades of conflict in Northern Ireland that cost 3,700 lives. The free flow of people and goods across the near-invisible Irish border now underpins both the local economy and Northern Ireland's peace process. The EU's proposed solution is for Britain to remain in a customs union with the bloc, eliminating the need for checks until another solution is found. But pro-Brexit British politicians say that would stop the U.K. from forging new trade deals around the world. "We know the truck number, we know the driver, we know what kinds of goods, we know everything," she told The Associated Press. "It will pass by the two cameras and go on. It's doesn't need to come into the office." 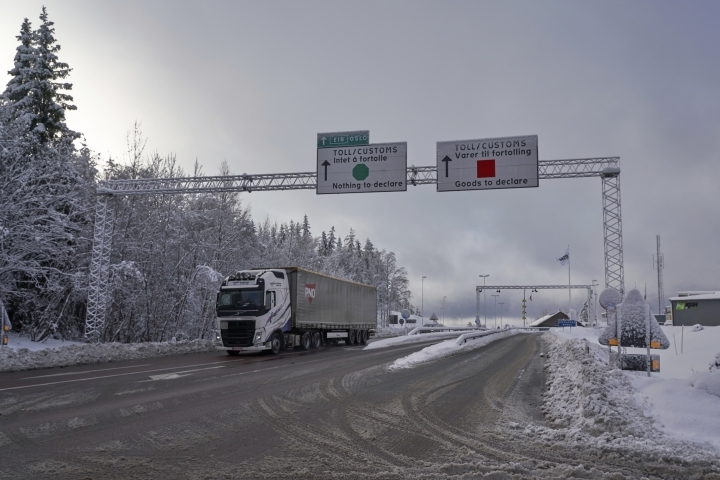 So far, only 10 Swedish companies are in the pilot project, representing just a handful of the 400-450 trucks that cross at this border post each day. But if it's successful, the plan will be expanded. "It's a pilot program, so it takes time to make things work smoothly before it can be expanded," said Krogh, who still felt the program could have a long-term benefit. 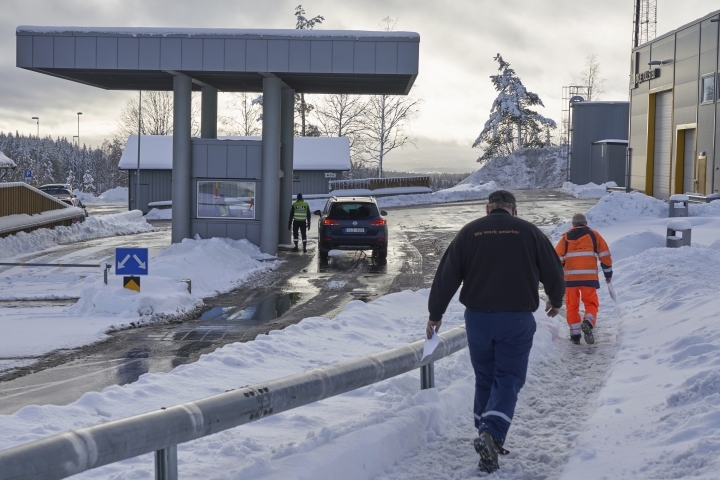 The Svinesund customs office, 90 kilometers (56 miles) south of Orje, is Norway's major road border, with 1,300 trucks each day carrying goods into the country from all over Europe. Customs section chief Kristen Hoiberget has been following the Orje pilot program with interest but warns of systematic challenges to its expansion. "It's very easy to deal with a digital system when the goods are uniform," said Hoiberget. "If you have one kind of goods in a lorry, it's less complicated. But if you have a lorry that picks up goods at ten different places abroad, the complexity arises rapidly." "If you look 15 years ahead, I guess this office won't be here. I won't be sitting here stamping papers," said Bullock. 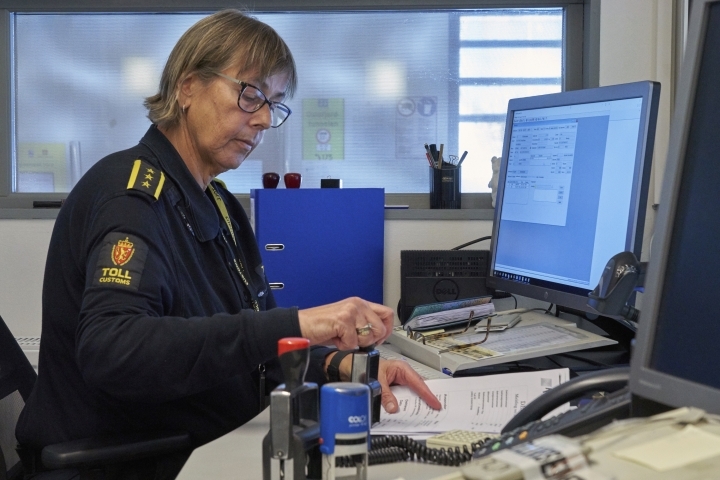 "But customs officers will still be on duty, to prevent goods coming into Norway that are not supposed to." "You must be doing a Brexit story," he joked. "They'll be in the same boat soon."